Jetpets are no stranger to servicing unique animal transportation needs and when we were recently contacted by Sydney’s Sea Life aquarium we were excited to learn that we would be transporting a female Sea Turtle named, “Extra Virgin”. You might be wondering, “Why such a strange name for a turtle?”, so please allow me to explain. “Extra Virgin” is a member of the Olive Ridley species of marine turtles. The species are known by their olive-green hue…hence the comedic nickname. According to the World Wildlife Federation’s (WWF) website the Olive Ridley turtle’s status is considered “vulnerable”. This is due to several reasons including how fragile their breeding cycle is, with hatchling turtles returning to the same place they were born to lay their own eggs once the reach maturity. As these hatchling locations are so specific and infrequent, any damage or change to their environment could adversely affect the entire species. 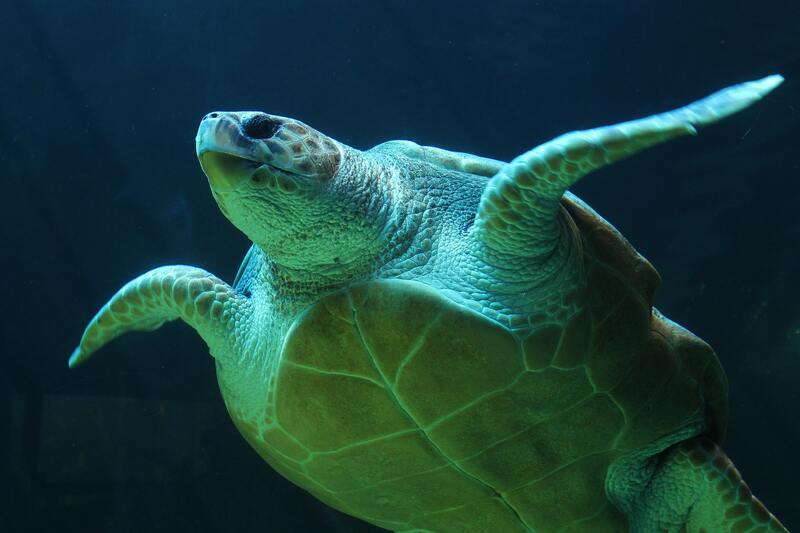 The turtles are also impacted by plastic rubbish, commercial fishing practices, poaching and water pollution. With such precious cargo in our care it was imperative that we pulled out all the stops to ensure that Extra Virgin reached her destination safely. Through consultation we were able to assist in preparing Extra Virgin’s travel crate to make it more comfortable during her flight to QLD. We also liaised with the airlines to ensure that she spent no unnecessary time in crate. 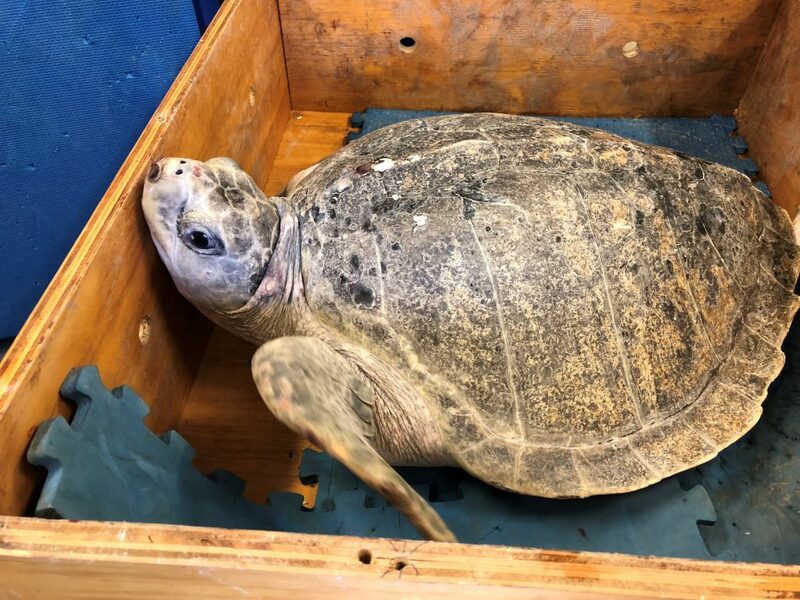 Extra Virgin was being transported to undertake rehabilitation for a minor injury at her new home at Sealife on the Sunshine coast. Once she has fully recovered she will be released back into the wild to re-join the rest of her species. 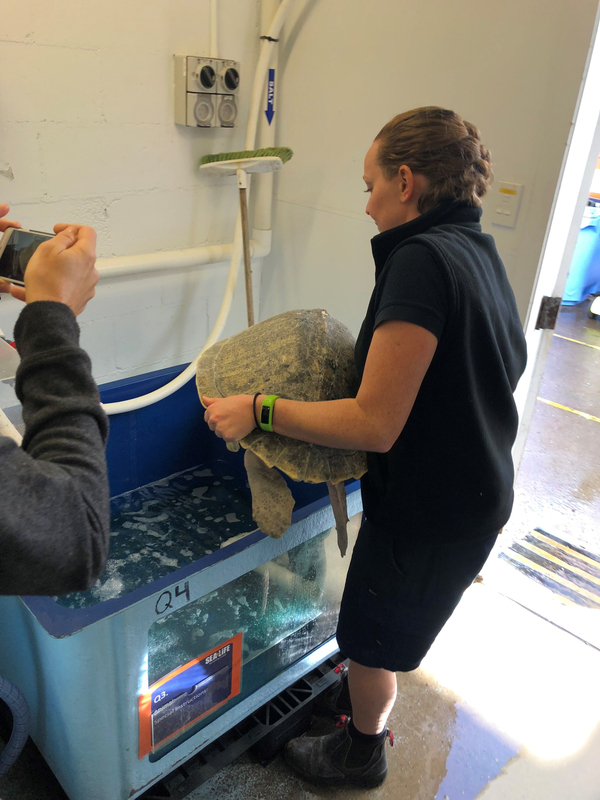 special mention also needs to go to Jetpets’ Pet Handler Kellie, who did a fantastic job of picking up Extra Virgin and getting her safely to the rehabilitation tank to begin her recovery. If you would like to visit Sealife on the Sunshine coast you can visit their website here to get all the details.